Is anyone surprised the Mets decided to smear Terry Collins before parting ways with him this offseason? Well, you shouldn’t be because it follows a pattern from this organization since the Wilpons have taken control of the team. While full ownership did not fully transfer until 2002, the Wilpons had gradually gained control throughout the years and were really front in center with an already hands-off Doubleday suffering health issues. Coming off the heels of the 2000 World Series, Alex Rodriguez made it well known he wanted to play for the Mets, the team he’s always loved. Instead of the team letting themselves get outbid, they declared him to be a 24 and one player. Instead of thanking managers like Bobby Valentine and Art Howe for their service, they talked about how their teams quit on them, which is as damning a statement you can make against a manager. Things went further for Howe calling him soft, weak, boring, and out of touch. As poorly as Howe was treated on the way out, it pales in comparison to how Willie Randolph was treated. This went beyond the accusations he was out of touch and couldn’t get through to his players. No, they had to fly him out to California and fire him at 3:00 A.M. after a win! They then replaced him with Jerry Manuel, who was the person bad mouthing Randolph behind his back with, you guessed it, Jeff Wilpon. It wasn’t just managers that received this treatment. Remember what happened with Yoenis Cespedes in the 2015 offseason? When the team made it clear they had wanted to pass on re-signing him? First, he was a round peg in a square hole that couldn’t handle center. It wasn’t just that, we heard whispers about whether a team could trust Cespedes on a long-term deal. Any Mets fans who has paid attention to the team could tell you any of the above was true. We saw Collins staple Michael Conforto to the bench for under-performing veterans. He pressured Steven Matz to pitch through the pain. There was the drama surrounding Asdrubal Cabrera‘s position switch. There have been a wake of injured relievers during his career. All of the above has proven to be true. Through all of it, the Mets kept Collins. They dismissed these concerns and even put forth the illusion he was great handling the clubhouse. However, now that Collins is on his way out, those positive narratives are gone; replaced by the truth or something close to it. The sad part is this is completely unnecessary. Collins dutifully serves this organization since 2010 and managed them since 2011. He led the team to consecutive postseasons and delivered a pennant. 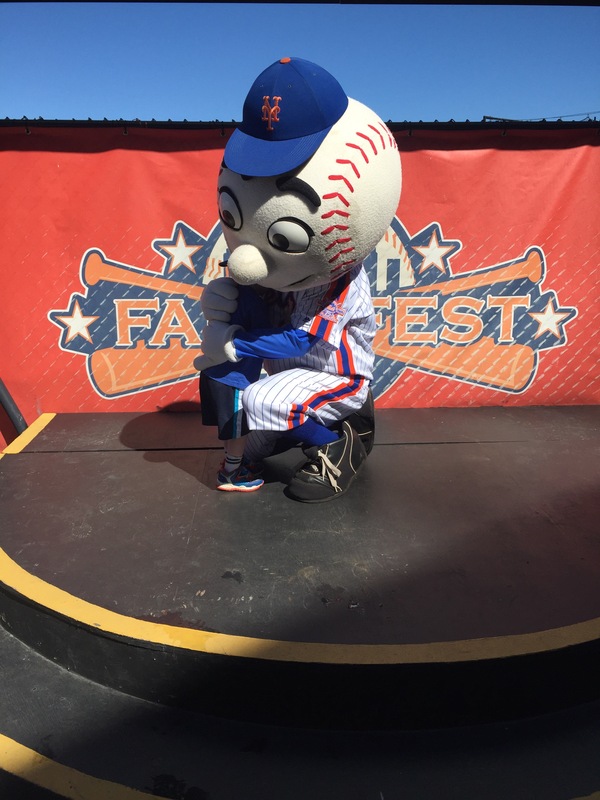 Despite all of this, we all knew this was the end, and really, there was no one asking for him to return to the Mets. Most agreed it was time for the Mets to select a new manager, a new direction. For some reason, the Mets couldn’t leave well enough alone. They had to tear the guy down on his way out. Sadly, this is not a new low for the organization because you can’t get any lower than how they treated Randolph. Rather, the team has become better and more efficient at doing it. With the way Collins has been treated it makes you question what type of manager would be willing to accept a job from the Mets considering how they are treated and smeared on their way out the door. Jacob deGrom – This year, deGrom has returned to pitching like an ace. No, he may not be the guy he was in 2015, but he’s still a great pitcher. You know with him on the mound the Mets have a chance to win the game. With his ability, anything is possible. Michael Conforto – We have been watching Conforto have one of the best, if not the best, season a young Mets player has ever had. He will soon be the youngest Mets player to ever hit 30 homers. He’s showing how special he is taking on more leadership responsibilities in the clubhouse. Chris Flexen – Very quickly, Flexen has gone from over-matched to holding his own. He’s just 23 and had just seven Double-A starts under his belt. Just holding his own at this point is remarkable. Sooner or later, he may just prove he belongs at this level. Juan Lagares – One thing that really stood out in the Subway Series was this man can still play Gold Glove defense. In fact, he might be the best outfielder in baseball with his league leading 34.0 UZR/150. Metrics aside, it’s a joy to watch him play center field defense, and you never know when he is going to make his next great play. Amed Rosario & Dominic Smith – They have essentially been presented as this generations David Wright and Jose Reyes or Dwight Gooden and Darryl Strawberry. If they’re at those levels, the Mets will quickly turn things around. If they are truly this good, we won’t want to miss a minute of them playing. To that end, we have already seen great defense from them, and they’ve already homered in the same game. With that, there are five very good reasons to continue watching this team. Other than that, we can watch because we’re Mets fans, and we love our team. I know I watched the Jeff Torborg, Art Howe, or Jerry Manuel Mets teams, I can certainly watch this team. Except for the Jerry Manuel experiment in 2010, Jose Reyes has spent the vast majority of his career as a leadoff hitter. Throughout his career, he’s been the prototypical leadoff hitter. He was the guy that got on base and would wreck havoc on the basepaths. He’d score from first on a double. He’d steal second and score from second on a single. He’d steal third and he would either score on a sacrifice fly or get a pitcher to balk him home. This is why Reyes has lead off his entire career, and this is why Terry Collins made him the leadoff hitter when Reyes played his first game with the Mets on July 5th. However, Reyes isn’t the same player anymore. He’s gone from a .341 OBP and averaging 37 stolen bases a year with the Mets to a player with a .334 OBP who averages 27 stolen bases a year. Last year, he had a .310 OBP and 24 stolen bases while playing in two of the best hitter’s parks in all of baseball. Simply put, Reyes is no longer the same player, which means he shouldn’t be treated as such. It might be time for him to be moved out of the leadoff spot. The leadoff spot should return to Curtis Granderson. The same Curtis Granderson who was the leadoff hitter that went to the World Series last year. The same leadoff hitter that needed just a little over one season to match Reyes’ team record for home runs leading off a game. This is the same Granderson who has a higher career OBP than Reyes and who had a .364 OBP for the Mets last year. After a tough May, Granderson has returned to that form with him hitting .276/.386/.496 with six homers and 11 RBI. Overall, Granderson is a better hitter than Reyes is right now. He’s a better hitter than what Reyes has been the past few seasons. The Mets were at their most successful with Granderson leading off. It’s time to restore him to to leadoff spot.